Thank you so much for taking the time to check out my site! I'm going to go on record right now and tell you all that I have absolutely no idea what I'm doing, but maybe we can all figure it out together as we go along. The purpose of this blog is to feature one of the many casualties of the Internet- the cookbook. I can remember as a kid flipping through my mother's cookbooks, looking at each of the glossy pictures that made my mouth water, and asking Mom to cook those beautiful recipes for me (and being confused when it didn't come out looking exactly like the picture- sorry, Mom!!). Now, with the capability to pull up any recipe at any time along with comments and reviews using a quick Google search, the long-forgotten cookbook is quickly on its way to extinction. I want to keep that from happening! When I can't quite figure out what I'm in the mood for for dinner, I love picking up a cookbook and flipping though it, waiting for one of those gorgeous recipes to call out "Pick me!". It's not quite the same searching the Web (sidenote: I did ask Siri once "What do I want for dinner? ", but her response was just to direct me to the closest restaurant). 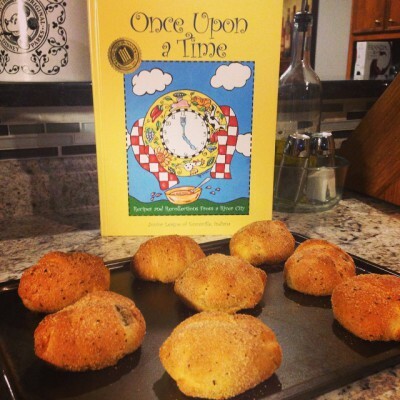 I'm a member of the Junior League of Evansville (Indiana), and one of the ways we raise money is to compile recipes and publish cookbooks periodically. In fact, Junior Leagues all over the United States have published their own cookbooks, and I am fortunate enough to have several of them in my possession :) I sat down and started looking through them today, and some of those recipes sound AMAZING! So, I'm going to ask you to take a small journey with me- a journey to discover a little taste of America. I'm going to feature one of those books each day and cook some of the recipes found in each of them, and I hope you will enjoy learning a little more about the incredibly talented women in the Junior League across the United States! And of course, if one of those cookbooks should catch your eye, just let me know, and I can totally hook you up with your own copy!!! See you for dinner tomorrow!